On the 30th July 2017 Craig Thomson-Hay and Ronald Hogg will be walking the 100 miles from the Home of the Royal Army Ordnance Corps in Woolwich, London to Tyne Cot Cemetery Passchendaele, Belgium. They will be raising money for both Combat Stress and CATH House in Perth. They will be arriving at their final destination for the centenary of the death of SSgt Williams of the RAOC who died in Passchendaele on the 3 Aug 1917. He is at rest in Tyne Cot Cemetery. 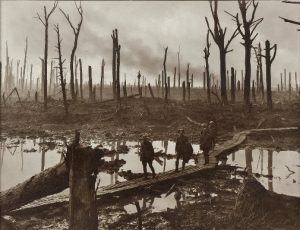 The Battle of Passchendaele (Third Battle of Ypres, Flandernschlacht and Deuxième Bataille des Flandres) was a major campaign of the First World War, fought by the Allies against the German Empire. The battle took place on the Western Front, from July to November 1917. The Royal Army Ordnance Corps (RAOC) was a corps of the British Army. At its renaming as a Royal Corps in 1918 it was both a supply ad repair corps. In the supply area it had responsibility for weapons, armoured vehicles and other military equipment, ammunition and clothing and certain minor functions such as laundry, mobile baths and photography. The RAOC was also responsible for a major element of the repair of Army equipment. In 1942 the latter function was transferred to the Royal Electrical and Mechanical Engineers (REME) and the vehicle storage and spares responsibilities of the Royal Army Service Corps were in turn passed over to the RAOC. The RAOC retained repair responsibilities for ammunition, clothing and certain ranges of general stores. Tyne Cot Commonwealth War Graves Cemetery and Memorial to the Missing is a Commonwealth War Graves Commission burial ground for the dead of the First World War in the Ypres Salient on the Western Front. It is the largest cemetery for Commonwealth forces in the world, for any war. 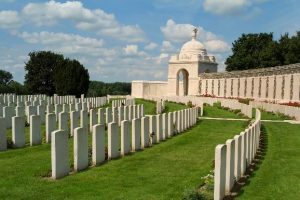 The cemetery and its surrounding memorial are located outside of Passchendaele, near Zonnebeke in Belgium. While on the route they will pass through the Menin Gate in Ypres, where they will lay a wreath for SSgt McNeill RAOC. Before heading the final 6 miles to do the same for SSgt Williams RAOC at Tyne Cot. The Menin Gate Memorial to the Missing is a war memorial in Ypres, Belgium, dedicated to the British and Commonwealth soldiers who were killed in the Ypres Salient of World War I and whose graves are unknown. The memorial is located at the eastern exit of the town and marks the starting point for one of the main roads out of the town that led Allied soldiers to the front line. The soldiers returning home from World War I suffered greatly from the horrors they had witnessed. Many returning veterans suffered from Post Traumatic Stress Disorder, called shell shock at the time. Psychotherapeutic measures.In December 1916 Gordon Holmes was put in charge of the northern, and more important, part of the western front. He had much more of the tough attitudes of the Army and suited the prevailing military mindset and so his view prevailed. By June 1917 all British cases of “Shell-shock” were evacuated to a nearby neurological centre and were labelled as NYDN–Not Yet Diagnosed Nervous”. “But, because of the Adjutant-General’s distrust of doctors, no patient could receive that specialist attention until Form AF 3436 had been sent off to the man’s unit and filled in by his commanding officer.” This created significant delays but demonstrated that between 4-10% of Shell-shock W cases were “commotional” (due to physical causes) and the rest were “emotional”. This killed off shell-shock as a valid disease and it was abolished in September 1918.At PresentCurrently the organisation is helping almost 6,000 people who are Veterans aged from 19 to 97. Combat Stress are currently treating 971 Veterans who served in Afghanistan and 1,185 who served in Iraq. Combat Stress was formed at a time when there was little known about mental health problems affecting ex-Service men and women who had returned home after serving in conflict zones. During the war 306 British soldiers were executed for cowardice many of whom were victims of shell shock. On 7 November 2006 the Government of the United Kingdom gave them all a posthumous conditional pardon. The Shot at Dawn Memorial at the National Memorial Arboretum in Staffordshire commemorates these men. He also used hypnosis with limited success. 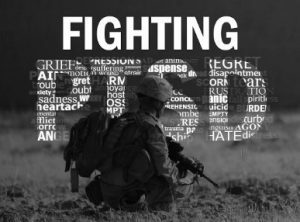 Post-Traumatic Stress Disorder (PTSD)While Combat Stress is a necessity throughout the country there are also smaller charities that support people suffering in similar ways. CATH House in Perth, Scotland is one of those such charities.The original support was provided with the introduction of a soup kitchen run by volunteers in St Mathews Church and subsequently in a number of different locations until the Day Centre opened its doors on the Ladeside in 1995 with the first paid member of staff providing a more comprehensive range of support.Whilst operating as a “dry house” they adopt a high tolerance approach to the support of individuals who may still currently be addressing issues in or around alcohol dependency and/or substance misuse. This high tolerance approach ensures a unique service which offers accommodation to service users who otherwise would be unable to secure accommodationTo support those already in their own accommodation CATH introduced a Floating Support service in 2001. A team of development workers travel throughout the Perth and Kinross area supporting people within their own tenancies to avoid tenancy failure. Their aim is to raise £1000 for each charity to assist them in their support people in need. The route will take them from Woolwich to Sittingbourne and then down to Dover. Once over the channel they will travel across northern France before staying at Ypres one night before continuing on to Tyne Cot. To ensure that they could offer all round support CATH recognised the need for crisis intervention and in 1998 formed an Outreach team who conduct street walks covering the Perth and Kinross area to pick up on those who might otherwise fall through the net and remain at risk. A hostel accommodation was added in 1998 in various locations but since 2002 have operated a 16 bed hostel located at 47 York Place Perth. The hostel caters for males and females over the age of 16 years with trained development staff offering support in house and signposting to other agencies where appropriate. Churches Action for the Homeless is a local charity supporting those who are homeless or under threat of homelessness emerged onto the scene in 1991 during a particularly severe winter when a number of church parishioners became concerned about the plight of rough sleepers in Perth. This support is delivered throughout England, Scotland, Wales and Northern Ireland through three treatment centres (Hollybush House, Ayr, Ayrshire, Scotland; Audley Court, Newport, Shropshire, England and Tyrwhitt House, Leatherhead, Surrey, England) and community outreach teams. If you would like to support Ron and Craig and their causes please visit their Just Giving page.